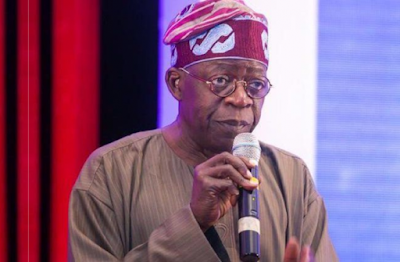 The National Leader of the ruling All Progressives Congress (APC) Bola Tinubu has debunked claims that he slumped and was rushed to the hospital after president Muhammadu Buhari declared that he(Tinubu) was in charge of the party’s campaign for the 2019 election. Tinubu, speaking on Friday, in Abuja when he received the representatives of traditional rulers from the South West States led by the Ooni of Ife, Oba Adeyeye Enitan Ogunwusi, said the claim was “fake news”. A former minister of Aviation, Femi Fani-Kayode, had alleged that Tinubu collapsed shortly after he was appointed Chairman of Buhari’s 2019 Campaign Council, urging Nigerians, especially Yorubas to pray for him. Kayode also pointed out that Tinubu always experiences terrible things each time he was given a major role in the APC government. He said, “The point is, the governors had to stay back home because we all don’t have to converge in one place to decide certain modalities when we can easily go back to them on what was discussed and what we expect from your state.